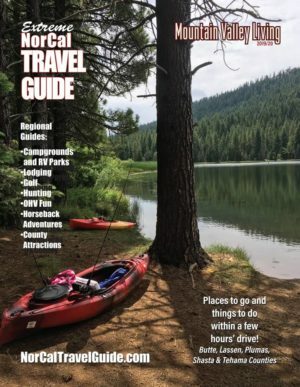 Whether you’re out exploring the beautiful Sierra Valley, birding at the steel bridge, or fishing in one of the many waterways nearby, the Golden West Restaurant and Motel in Loyalton is the perfect place for a delicious meal, a refreshing drink or a clean and comfortable place to spend the night. 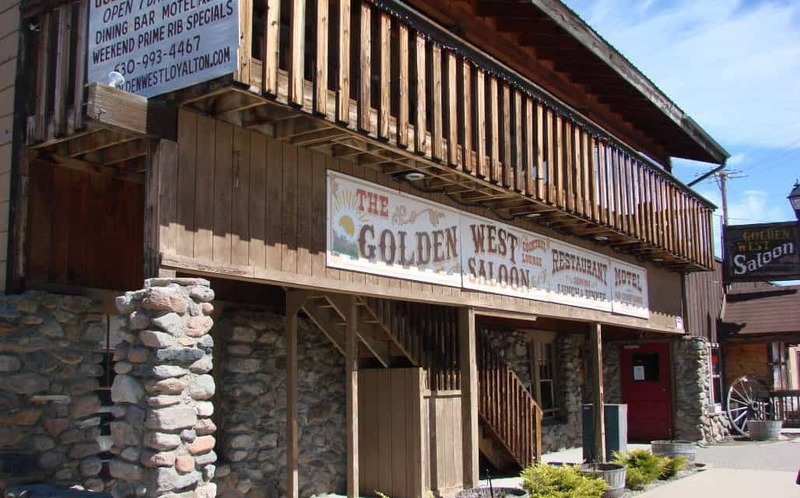 According to manager Suzanne Shelton, the Golden West was originally built in 1905, and has a rich history of serving the area throughout the past century. Back in the 1930s, the Golden West Hotel was attached to a saloon called Bricks Place. Then during the 1950s it became a boarding house for loggers. Although the existing dining room was saved, in 1968 the old hotel was condemned and destroyed. Suzanne’s father, Bob Bowling, and their family purchased the saloon in the early seventies and changed the name back to the Golden West. They added a kitchen, restored the dining room and then in 1985 built the current hotel. 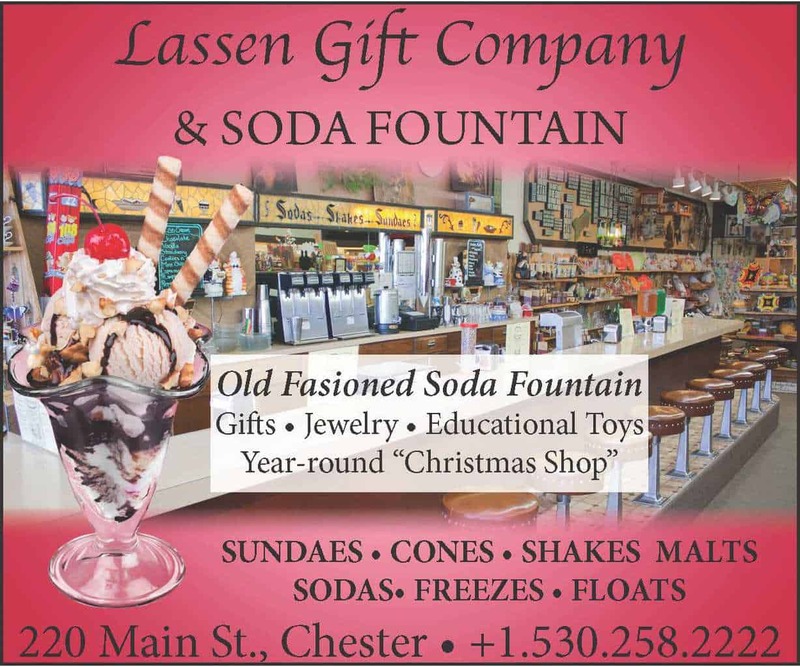 For decades, it continued as a family business until Bob’s retirement, providing a gathering place for the community with an outstanding restaurant, friendly bar and cozy hotel. In 2011 the Golden West sat vacant for a time, creating a big loss for the small town. 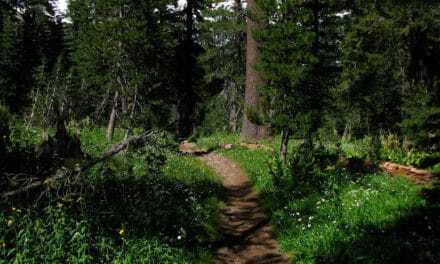 Finally, some locals got together with a plan to purchase The Golden West and bring it back to life. The group – Elmer and Helen Roberti, John and Betty Roen, Dave and Jane Roberti, Paul and Sheri Roen and Earl Little – had no restaurant or hotel experience, but did it to support the community. Travis Cone grew up in Loyalton, but moved away after graduating from Loyalton High School. He studied at the French Culinary Institute of San Jose (now called the International Culinary Center) and began a career as a chef. A few years ago the Golden West was in dire need of a cook, when they heard that Travis wanted to move back to Sierra Valley. 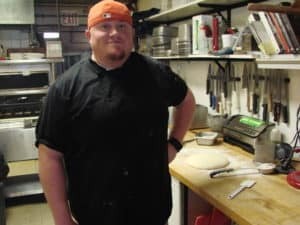 They offered Chef Travis a job and he has been delighting Golden West patrons ever since. Although the full menu is available almost anytime the Golden West is open, they offer unique daily specials created by Chef Travis. Their weekly specials usually include: Taco Tuesdays, Fried Chicken on Wednesday, Asian Night (with house-made noodles) on Thursday and prime rib on Friday and Saturday nights. “Everything is absolutely delicious,” Suzanne said. Brunch is served on Saturday and Sunday from 10:30 until 1:30, offering a large omelet selection as well as biscuits and gravy made from scratch. A few times each year they do Italian or Basque Nights with family-style seating. Each seating is for sixty people and they do two seatings per night. 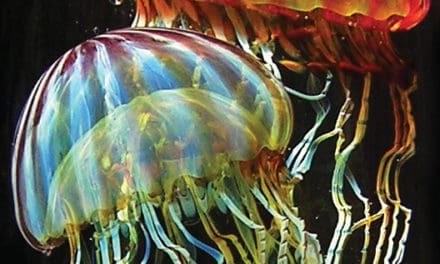 Information is posted on their Facebook page and reservations are accepted by calling (530) 993-4467. I recently spent some time in Loyalton and had lunch at the Golden West. 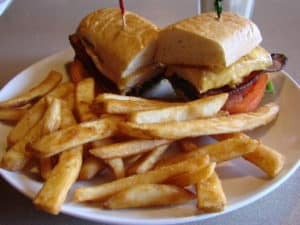 The special, a crabcake melt, sounded scrumptious and tempting…but I decided to order what was my favorite when Bob owned the place – the Chicken Club Sandwich. I wasn’t disappointed. A fresh roll enveloped pieces of juicy, cheese-covered chicken, stacked on top of delicious house-made bacon, fresh tomatoes and crisp lettuce. The fries were done to perfection and my root beer float was delightful. My waitress provided fast, friendly service as I relaxed in a comfortable booth. 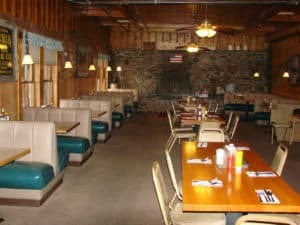 The large dining room retains a welcoming, western atmosphere and has a huge fireplace along the end wall. 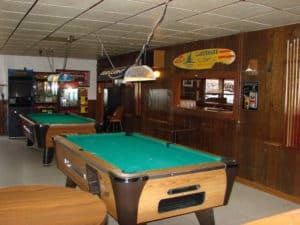 A full bar adjoins the dining room and beyond that is a game room with two pool tables. In the back there is a banquet room that can be reserved for meetings and special occasions. If all that wonderful food has you feeling lazy, you can reserve a room in the attached hotel. 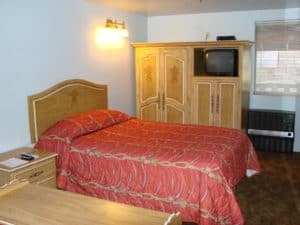 The Golden West has fifteen clean and comfortable rooms, each with a full bath. 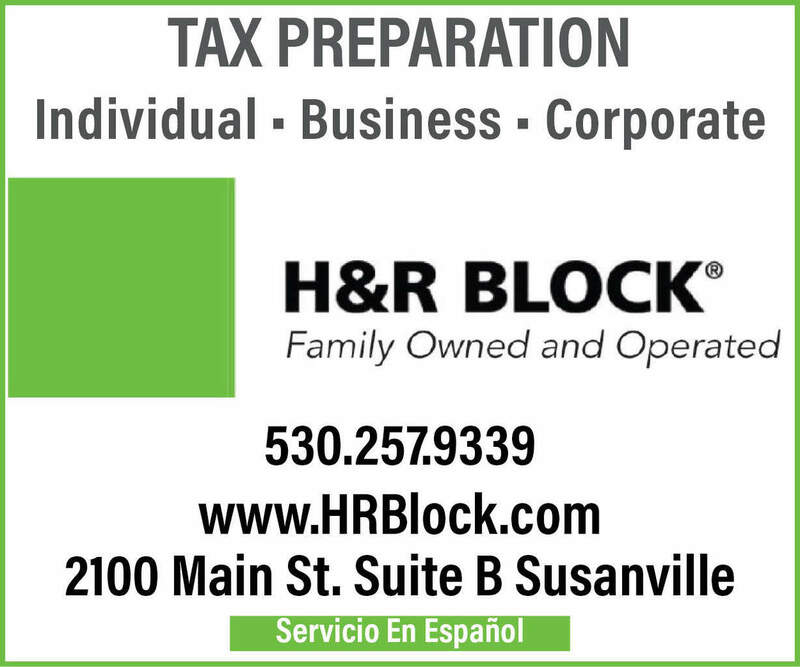 The current room rates are sixty-nine dollars, which includes all taxes and fees. They also offer group rates. 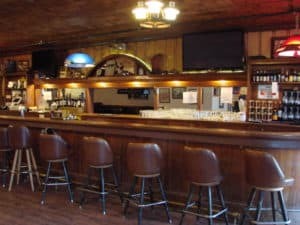 The Golden West maintains a family-friendly, small-town atmosphere and serves up generous servings of culinary delight. 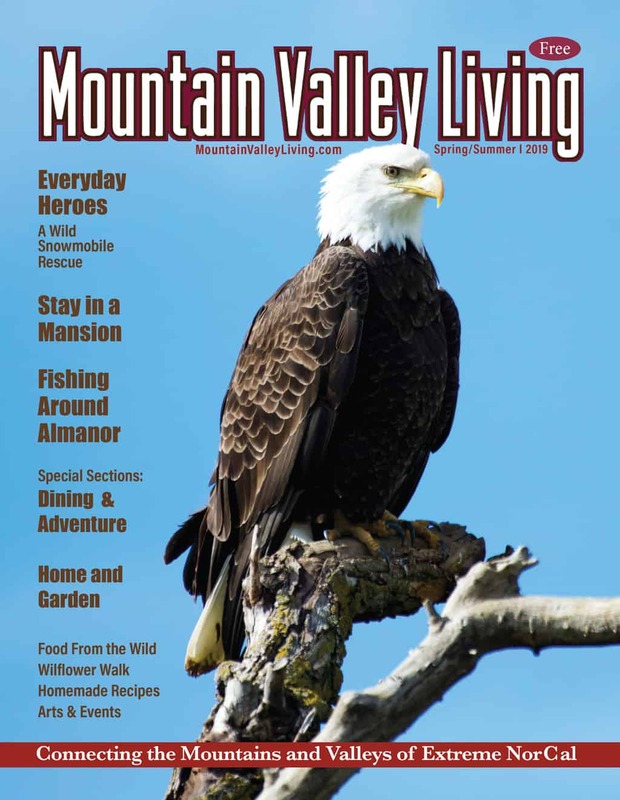 It is definitely worth making a special trip just for a meal, although there is plenty to see and do in the surrounding communities and the gorgeous Sierra Valley. Normal restaurant hours are daily from 11:30 a.m. until 8:00 p.m. Chef Travis Cone also does catering More information can be found at www.goldenwestloyalton.com and on their Facebook page under Golden West Dining or by calling +1.530.993.4467.